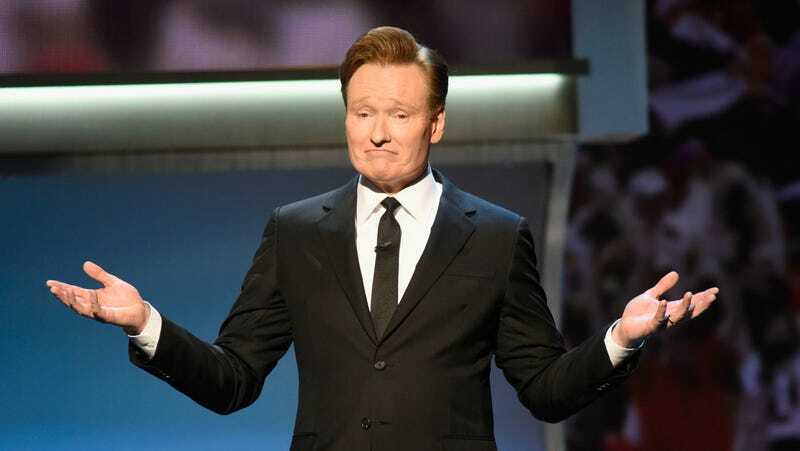 America's funnyman Conan O'Brien here to remind us that "all our graves go unattended"
That fear is palpable—“What if I walked out on the first test show and just started openly weeping?” he says—if only because it’s causing the host to reckon with the weight of his legacy in a world that won’t stop changing. “Is this how you want to go out, with a show that gets smaller and smaller until it’s gone?” Itzkoff asked, giving way to a rambling, distinctively Conanian response that indulges a nihilism both dispiriting and beautiful. At this point in my career, I could go out with a grand, 21-gun salute, and climb into a rocket and the entire Supreme Court walks out and they jointly press a button, I’m shot up into the air and there’s an explosion and it’s orange and it spells, “Good night and God love.” In this culture? Two years later, it’s going to be, who’s Conan? This is going to sound grim, but eventually, all our graves go unattended. You’re right, that does sound grim. Sorry. Calvin Coolidge was a pretty popular president. I’ve been to his grave in Vermont. It has the presidential seal on it. Nobody was there. And by the way, I’m the only late-night host that has been to Calvin Coolidge’s grave. I think’s that what separates me from the other hosts. Conan returns next week in its 30-minute format with a new set, no desk, and a marked lack of music. Learn more about it in the full interview, which you can find here.